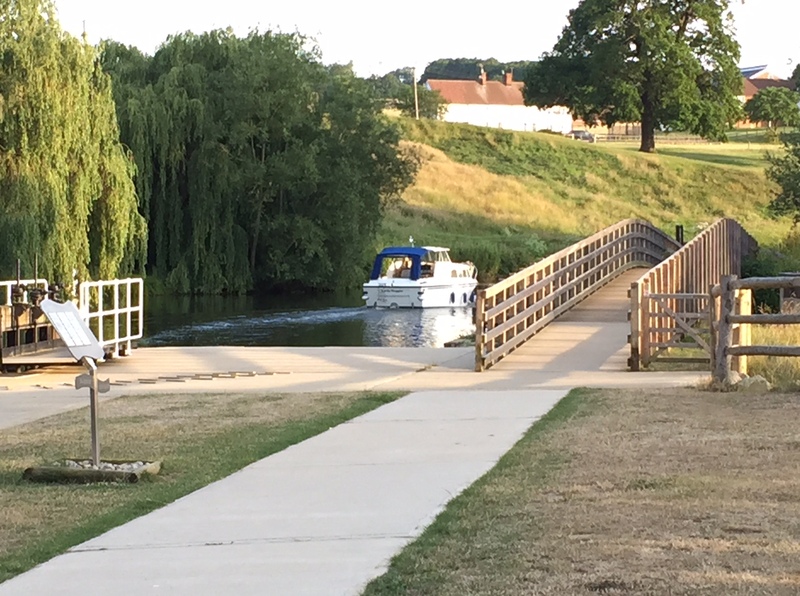 The River Medway Navigation from Yalding to Allington offers a relaxing cruise through the beautiful Kentish countryside. There are several marinas along the river, and a few pubs which you can moor outside for free. There are also lots well cared for free 48hr mooring points along the navigation. When sticking to the speed limit (5 knots) it should take you approx 4 -5 hours to amble along if the locks are in your favour. I’ve just got back from Clipper Race level one training, I am very tired, am black and blue on both legs, and my hand and arm muscles are aching. But despite all that, I feel absolutely great. I’ve completed my level 1 training, I scored 1 (out of 5) on all of the pieces we were trained on and have been put forward to be a watch leader on the race. It has been an absolutely incredible week of learning and the sense of achievement is fantastic. I will talk more about the week in a later post, but for now I just wanted to share my top tips for anyone who is preparing for their level one training. You will probably be moored up in Gosport marina or Cowes marina each night, so you’ll have access to showers and toilets. Most of us in my group thought we would be offshore for the whole week with no access to showers, so we didn’t bring Shampoo/Conditioner or shower gel. On the race you obviously won’t have shower access, but on level one training you will, so why not make the most of it!? Clipper Race training involves 4 core weeks of training over about 18 months. The weeks are notoriously intense, they’re hard work, incredibly tiring and most definitely not for the faint hearted. Later this week I will be sailing off on my 1st week of Clipper Race training. Week 1 is apparently the toughest. This is perhaps to do with the fact that it is the 1st time that most people will have lived in such an environment… i.e. a 70ft racing yacht out on the high seas, with 18 strangers! Working hard rigging decks and hauling sails, whilst at the same time learning continuously about the art of becoming a highly efficient crew member for an ocean yacht race.